On RangersTV and here on the club website supporters can read and watch in-depth one-to-ones with a lot of the club’s greatest stars as they discuss their football careers and years at Ibrox. 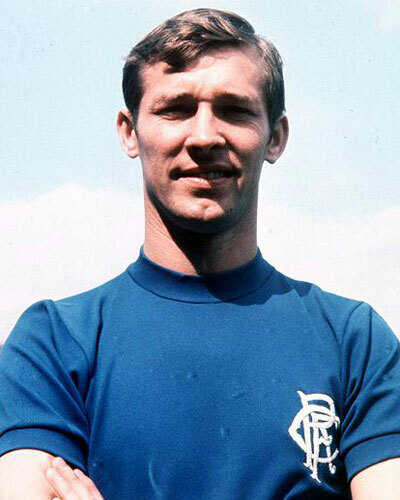 Today it is the legend that is Sir Alex Ferguson, who played for Rangers from 1967 to 1969.78. AS football managers go, quite simply there is nobody better than Sir Alex Ferguson, but his achievements in his football career are often forgotten. At Ibrox, he had a more than decent scoring record, hitting 36 goals in 69 appearances in Light Blue, but he was to leave Rangers for Falkirk in 1969. His first job in management came at East Stirling, before he moved to St Mirren in 1974, but it was at Aberdeen where he first came to significant prominence, winning three league titles, four Scottish Cups, a League Cup and the UEFA Cup Winners’ Cup. His success led to a move to a then struggling Manchester United, and after a slow start, Ferguson built them into one of the biggest clubs in the world, winning the Champions League twice, an incredible 13 Premier League titles, five FA Cups, four League Cups, another Cup Winners’ Cup, a Club World Cup and an Intercontinental Cup. He retired in 2013, leaving behind an incredible legacy and a list of success that will probably never be paralleled. Premier League (1992/93, 1993/94, 1995/96, 1996/97, 1998/99, 2000/01, 2002/03, 2006/07, 2007/08, 2010/11, 2012/13). Tell us how you became a Rangers fan? AF: “I went to school only about 200 yards from the stadium, and until I started playing football on a Saturday afternoon, I was always going to the games. “My dad was a Celtic fan and he used to take us to games there. But when I went to Broomloan Road Primary School, my brother and I started supporting Rangers and never missed a game. “When I first started going there were some great players like Willie Woodburn and Willie Thornton. They were my heroes growing up and the defence then had the title of the ‘Iron Curtain’ – and they had a real aura of invincibility about them. How did it feel when you finally signed for your boyhood idols? AF: “It was a long, drawn-out process. The previous season, it had been rumbling along in the papers, and I was hoping it was going to happen. “So I went on tour with Scotland all over the world and, when I came back, all the press were waiting at the airport as the papers had heard that Rangers had made a bid for me. “There was nothing I could tell them unfortunately, but in the corner was a man called Jim Rodger, who was a journalist and a fantastic man. So he beckoned my wife Cathy over, and he said ‘tell Alex I’ll be up to see him tonight’. He knew everything. “The following week I was in my house in Simshill and a car drove up. A young man came out and he turned out to be Scot Symon’s son. “He told me that his dad would like to see me and if I could go to Mr Symon’s house that night. So I went up, agreed the deal and it was fantastic. How would you describe yourself as a player when you signed for Rangers? AF: “Most people would say I was aggressive. I was always a committed player, I would say I had a decent football brain and I was a goalscorer. “Unfortunately, I couldn’t have gone to Rangers at a worse time. Celtic were the dominant team back then – and they were a fantastic team with a fantastic manager. “I think he was the deciding factor between the two teams. Ability wise, I don’t think there was much between us, but Jock Stein had something about him. When you joined Rangers, who were the biggest characters in the dressing room? AF: “Wee Willie Henderson was definitely one. He had a great personality and he was a big player for us at that time. “John Greig was a strong character too and there is no doubt that he was Rangers. I lost count of the number of times he played with injuries and he carried the team at times. “I was friendly with John, Dave Smith, Orjan Persson and Davie Provan. We all seemed to go out together and Davie Provan ended up becoming my assistant at St Mirren. “We used to talk football a lot. I think I was taking my coaching badges at that time and there were a number of younger players who were really interested in the game too. You finished your first season as top goalscorer, but it still ended in disappointment. AF: “It was a tragic season, as we went through the whole season unbeaten until the last game against Aberdeen when we lost. There were a lot of mind games played by Celtic’s Jock Stein at that time. Is that where you picked them up from? Were you made a scapegoat for the Scottish Cup Final defeat to Celtic in 1969? AF: “I’m not sure what was happening in the background at Rangers at the time, but I think he was up against it at the time to play me in the final, and it didn’t work as we lost 4-0. “I’ve watched that game about three times and I’ve taken down every detail about it. We were terrible and it was a complete disaster. “I never realised just how bad we were, although I wasn’t the worst player out there. Overall, do you feel you were given a fair crack of the whip of Rangers? AF: “When Rangers bought Colin Stein, they asked me to go out on a swap deal for him, but I didn’t want to leave the club. “It became a dispute between me and David [White]. When Colin came, he and Willie Johnston hit off a partnership straight away, and Colin scored something like three hat-tricks in his first four games when he first joined. “I’d been a substitute in those games, but when a guy comes along and has that sort of record, you can have no answer to that and you just have to hold your hands up. “But there were some games I came in alongside Colin Stein and did really well, but towards the end of the second season. Colin got sent off against Clyde and was banned for the Scottish Cup Final. How did your move away from Rangers come about? AF: “On the day I left, I said to myself ‘I don’t want to go’. I had an offer from Nottingham Forrest and I spoke with Jim Baxter about it, as he had re-joined Rangers from Forest. “He told me it was a good club and gave me some ideas about the kind of money and the like they were able to offer. “My wife really didn’t want to go to England at that stage, but I was needing to get a game and she reluctantly agreed to come with me. “But I met with Davie White, and he told me that Falkirk’s manager Willie Cunningham had been on and was looking to sign me. Falkirk were in the Second Division at that time, so I told Davie I didn’t want to go, and I would just stay at Rangers. “But I phoned Willie out of courtesy and he made an unbelievable offer to me. I came out of the office at Ibrox and came down the stairs, where I bumped into Willie Thornton. “He told me I didn’t really need to go. What he was trying to tell me is that there was going to be a change at Rangers. I didn’t read it and the next week Willie Waddell was the new manager of Rangers. Had I stayed, I think I would have been alright. Do you regret that now? How much did the way it ended for you at Rangers go on to shape you in later life? AF: “It gave me a driving force. I went to Falkirk and did really well and became the player-coach there. “They sacked the manager Willie Cunningham and brought in John Prentice. He didn’t want me as he wanted to bring in his own man, so I left and went to Ayr United for a year. “When I went there, it was on the premise that I was going to be a player-coach with Ally MacLeod to replace their then-assistant coach Jim McFadyen as he had been offered a new position in teaching and would have to move. “But his move fell through and I ended up just staying as a player. That was fine as Ally MacLeod was a fantastic character and it was a great experience to play under him. “After my year there I went into management at East Stirling. It was part-time and I only had eight players when I took over. Did you enjoy beating Rangers as a manager? AF: “I always did. It’s a funny thing as when I went to Aberdeen I stated that you always had to beat Rangers and Celtic. “They were Scottish Football, and they were the history of Scottish Football. To win anything in Scotland, you had to beat them, although to be fair, Dundee United had a terrific side at that time under Jim McLean. You were given the chance to manage Rangers in the 1980s. Looking back, is that something you regret not taking? AF: “I may have been more attracted to the job had Willie Waddell approached me for it. But it wasn’t Willie Waddell, it was John Paton [then Rangers chairman] who spoke to me. You’ve worked with Walter Smith at Scotland and at Manchester United. How highly do you rate him? AF: “He’s an absolutely fantastic man. He’s intelligent, patient, but when he needs a temper, he has it. “I tried to get him to come to Aberdeen as my assistant when he was at Dundee United, but wee Jim McLean had him on one of his famous 40-year contracts with 10-year options, or something like that. “I was on holiday when I phoned Jim to ask to approach Walter, and he went mental down the phone! So that was the end of that. “But I took him to Mexico for the World Cup in 1986, and then brought him to Manchester United.